If its Italian food its only pasta for me. Pasta is one of my favorite dish. It is an Italian cuisine and a staple food. It is made with flour and can be given any shape. It is an ultimate comfort food. There are endless varieties like spaghetti, penne, gnocchi and many more. I made one of them. 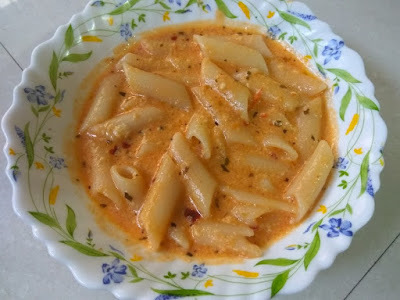 Pasta, Cream or Malai, tomatoes, oregano, paprika, sugar, salt, ketchup and which ever veggies u want to add. 1. Use enough water and a large vessel. 2. 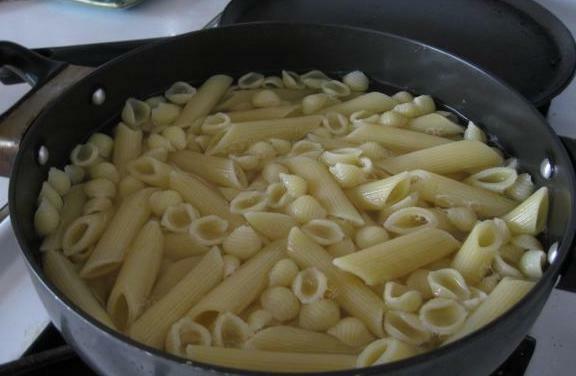 Wait for the water to boil and than add pasta. 3. To kip pasta from sticking, stir it gently in the beginning. 4. You can also add pich of salt or 2 to 3 drops of oil. 5. Once it is done place it in a colander and let the excess water drain. *Remember always add some left over pasta water to the sauce to enhance the flavour. Behind every perfect making of pasta is a great sauce. 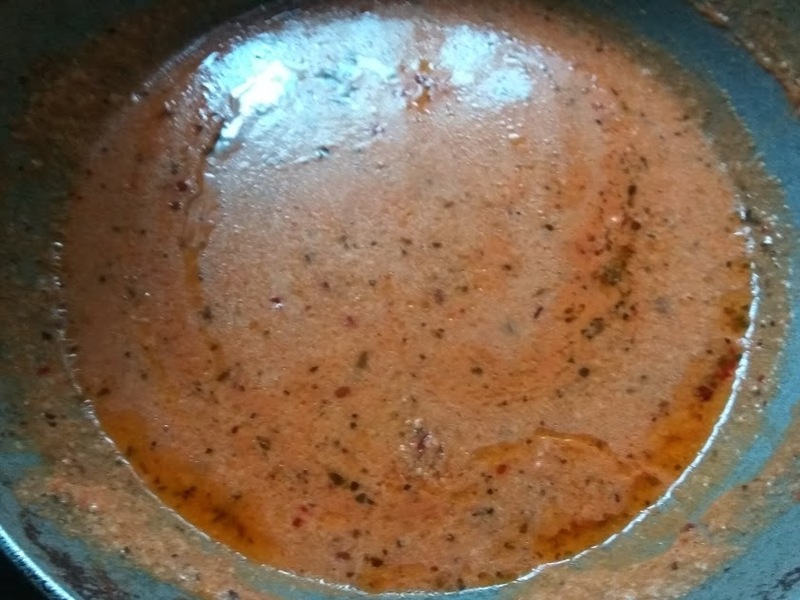 Nothing is better than a home made pasta sauce. It is the most important aspect and it differs from person to person. 1. Heat olive oil in a non stick pan, add garlic and saute for 2min. 2. Add crushed red chilies and mix. Add tomatoes and tomato purce and mix well. 3. Add salt, oregano, paprika and ketchup and mix well. 4. Add Cream or Malai and mix well. 5. Add penne pasta, mix well and cook for 2min. 6. Adjust salt if required. 7. Add parmesan cheese powder and mix, well. Finally its ready to serve.